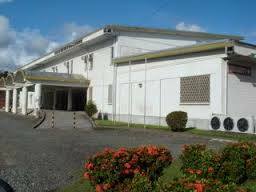 The cancer treatment facility at Lae’s ANGAU memorial hospital is experiencing slow and long cancer treatment times for patients. This is because the cobalt machine has passed its half life and so has increased radiation exposure timing for each patient receiving treatment there. The cobalt source has to be procured every 4 years however the facility is still using the source procured 8 years ago while under the supervision of Australia. This is according to the Senior Radiation Oncologist Doctor Niblet at the Cancer facility. Dr Niblet tells PNG FM News this morning that although the radiation itself is not harmful, the number of patients treated per day is reduced and so they can not treat the expected number of patients per day. The process to procure cobalt for the facility has been on hold since 2011 when the cobalt source procured in 2008 lost its radiation strength according to Doctor Niblet. This holdup is due to the fact that there is no legislated law to monitor and regulate the use of cobalt in the country and the National Department of health is working towards getting this law done.